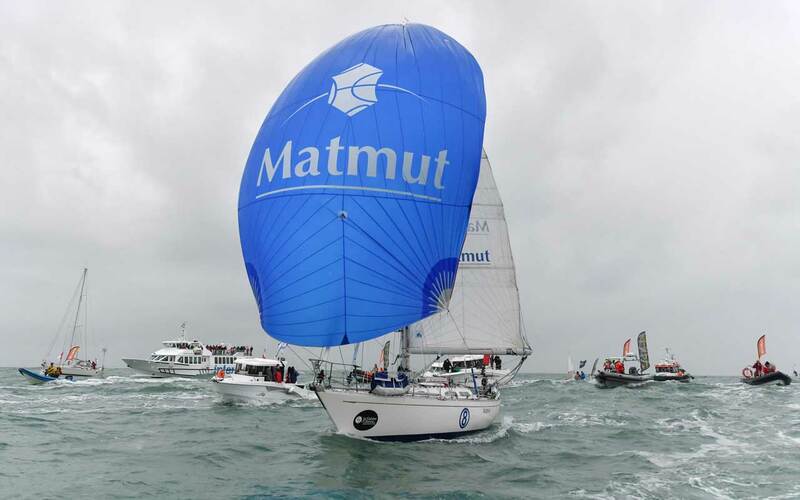 Van Den Heede receives huge welcome back in Les Sables d’Olonne. 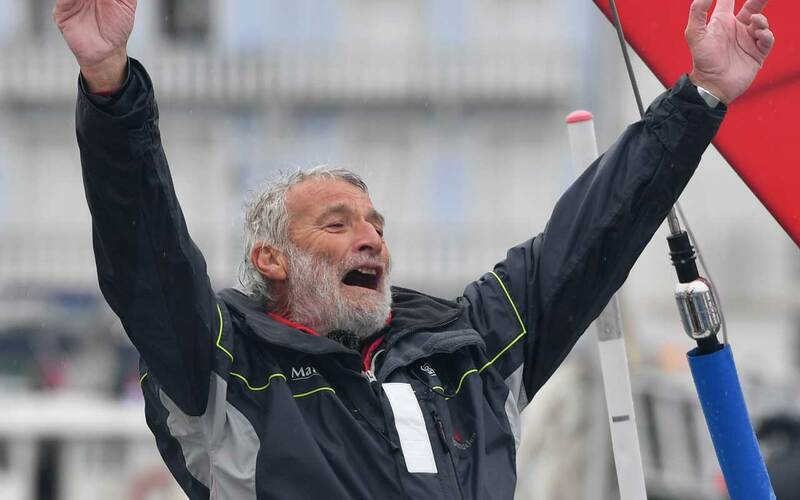 Jean-Luc Van Den Heede wrote his name into the record books by not only winning the 2018 Golden Globe solo non-stop round the world race today, but becoming the oldest in history to complete such a race. 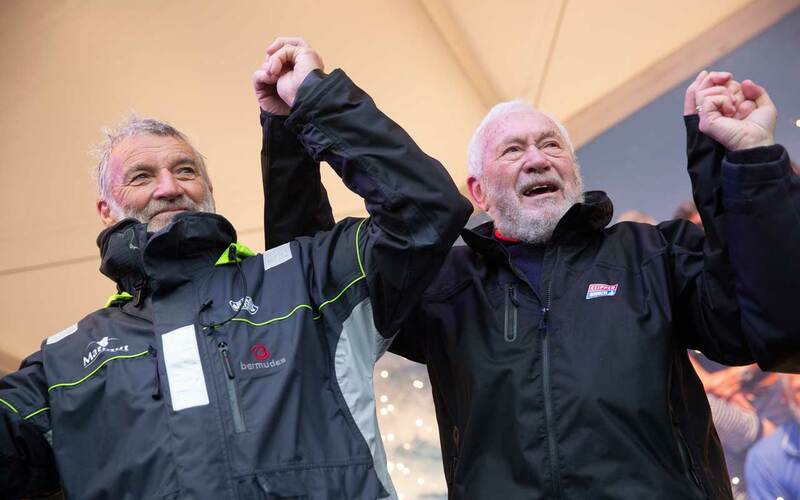 The 73-year old French veteran of six solo circumnavigations takes over both titles from Britain’s Sir Robin Knox-Johnston, the sole finisher of the Sunday Times Golden Globe Race 50 years before. 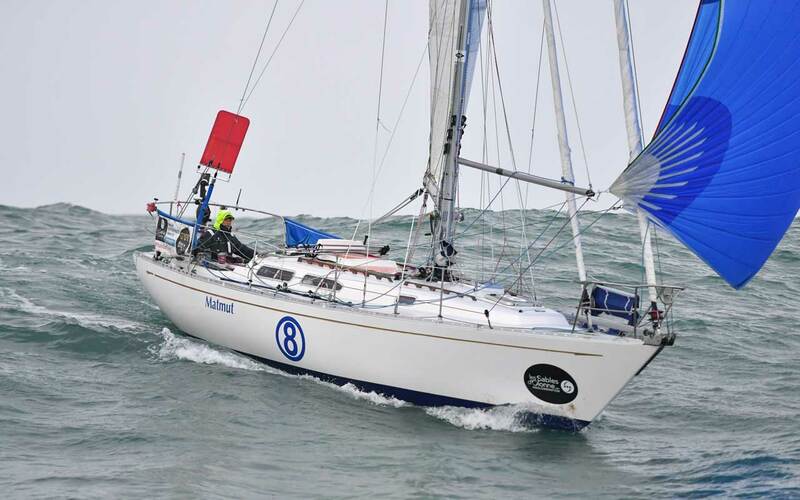 Until the finish gun fired at 09:12 UTC, Sir Robin had held the title as the oldest solo circumnavigator in a race, after completing the Velux 5 Oceans Race in 2007 at the age of 68. Race Chairman Don McIntyre, who was inspired by Knox-Johnston’s achievement in winning the first solo race back in 1968/9 to organise this 50th anniversary event, was just as ecstatic: “How fantastic. What a win for Jean-Luc. He has proved that age is just a number. 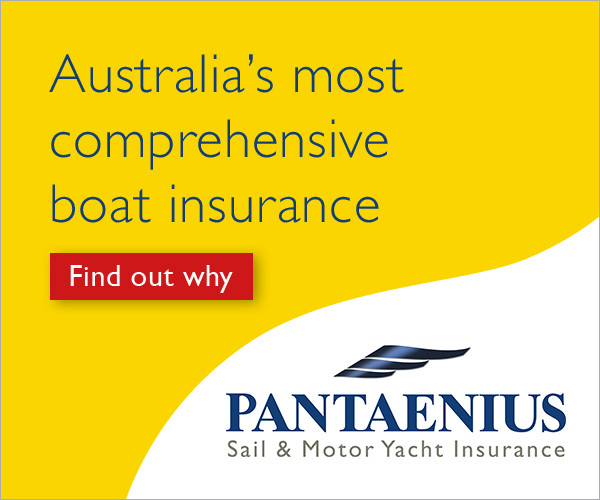 Jean-Luc’s performance is a classic example of planning, preparation and execution.